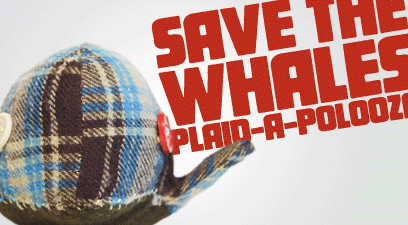 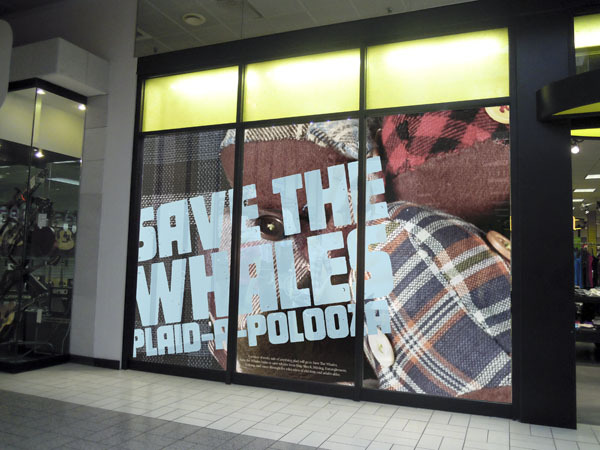 Create a spring retail campaign partnering PacSun with Save the Whales for a four week promotion during which time the weekly sales will be mostly plaid objects. 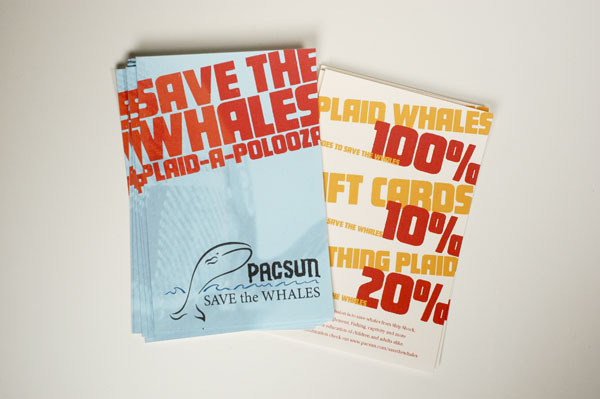 Certain percentages of different objects that are sold during the promotion will be donated directly to Save the Whales by PacSun. 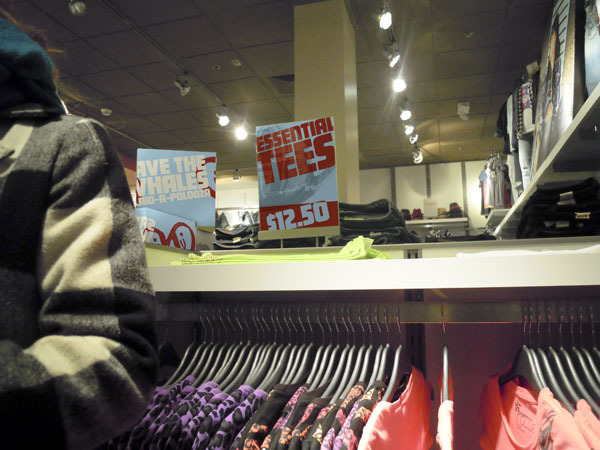 Retail Campaign Logo: Main sales slug / promotion identity. 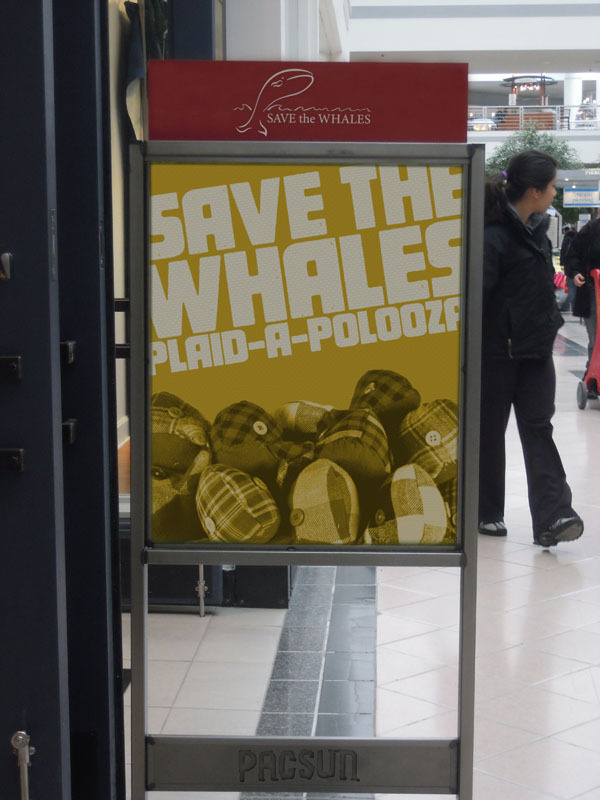 In mall entrance sign: Placed outside the store for greater promotion visibility. 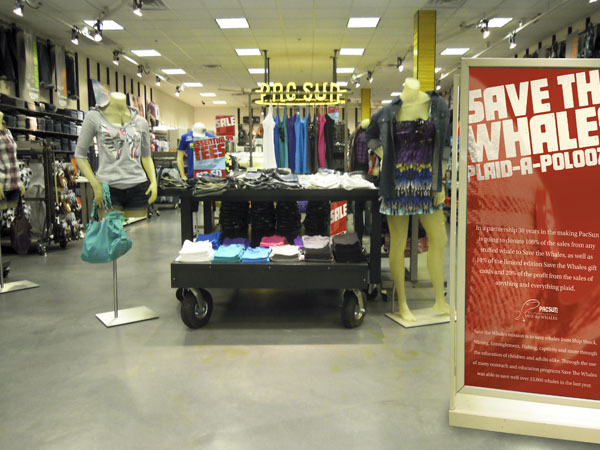 In store entrance sign: Explains the promotion and partnership. 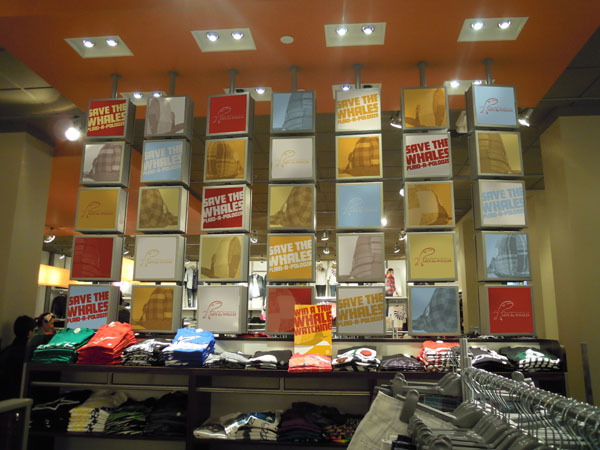 In store promotion material: 35 panel display and in store signage. 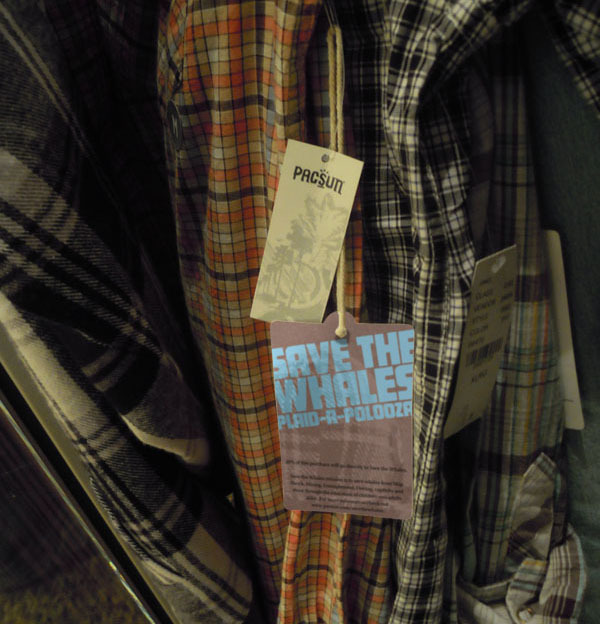 Tags: Placed on items included in the sale, explains the sale and how much of the purchase goes to Save the Whales. 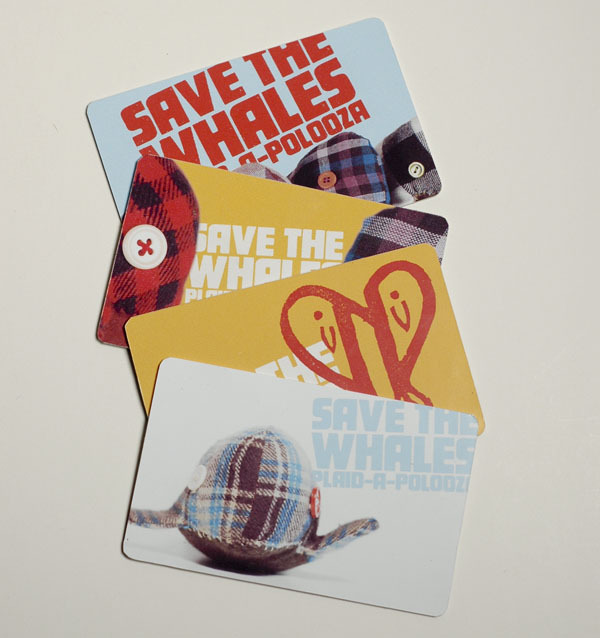 Gift Cards and Wrappers: Gift cards and warpers produced specially for this promotion. 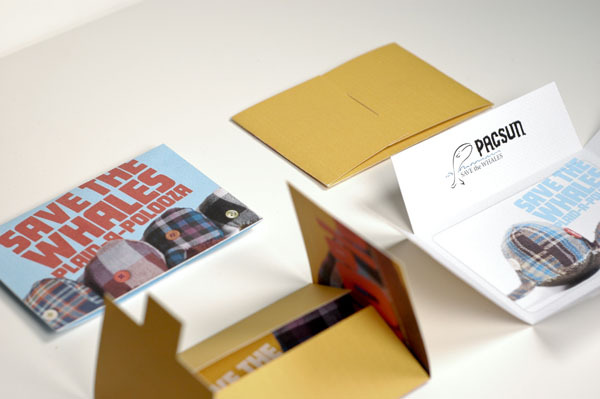 Direct mail and Take-away flyers Direct mail postcards will be sent to mailing list, and the take away flyers will at cash and wrap for customers to take. 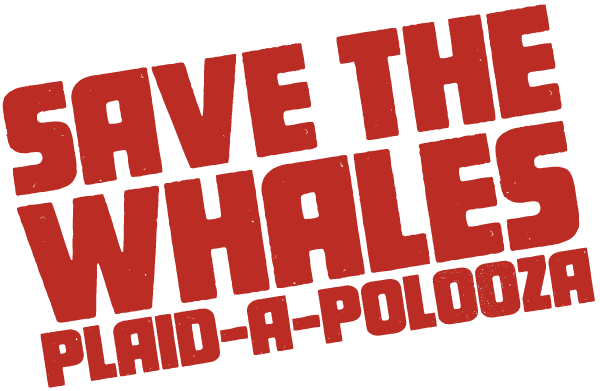 Whales for Sale: By purchasing a Whale you are symbolically saving whales from entanglement. 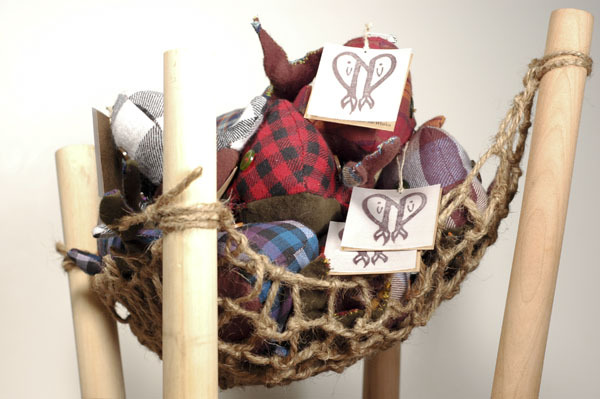 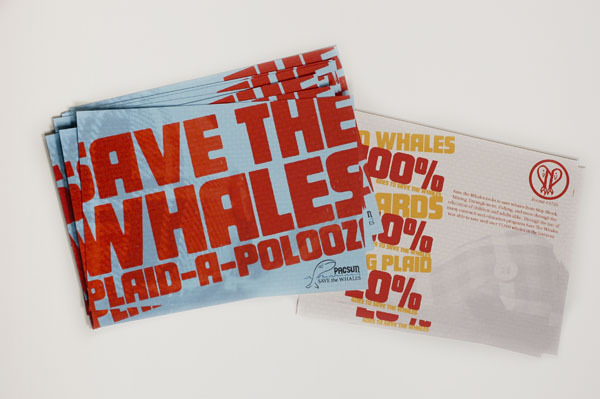 20% of the sale of these hand made whales go directly to Save the Whales. 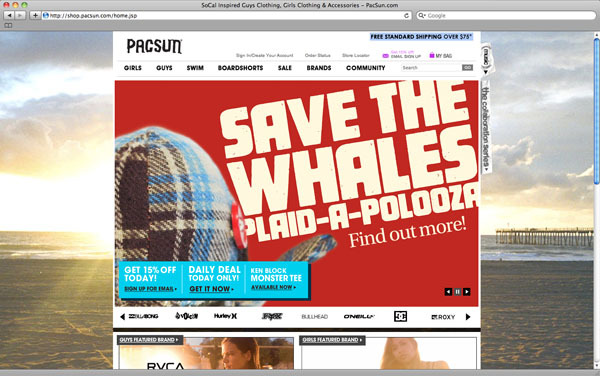 Web Promotion: One unit for rotating website homepage promotion images. 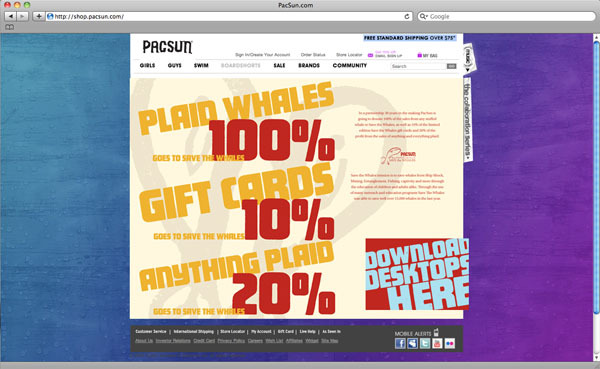 if you click it you are taken to a page that explains the sale and lets you download desktops. 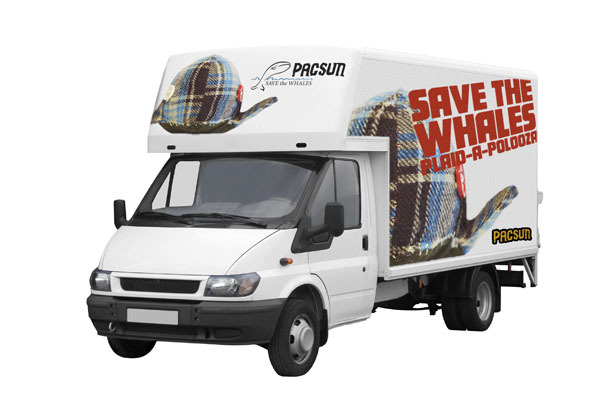 Outdoor promotion: Subway billboard and delivery truck promotion. 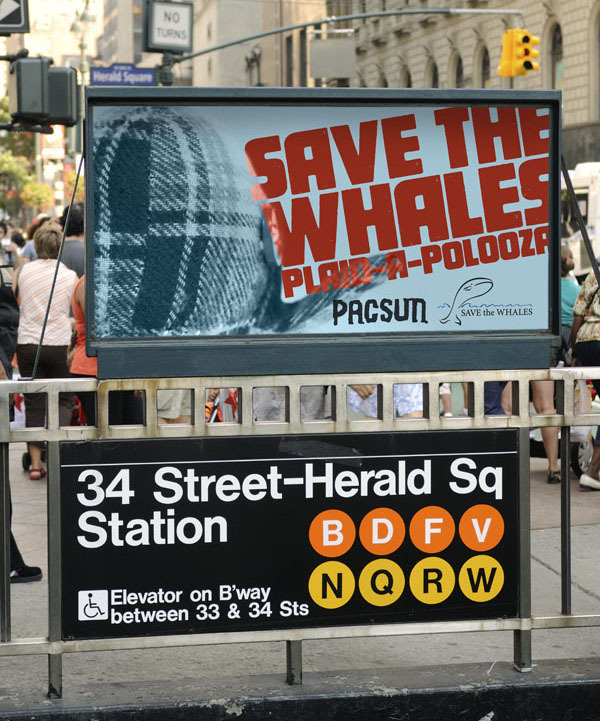 Create a spring retail campaign partnering PacSun with Save the Whales for a four week promotion.